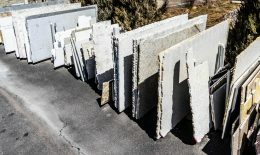 About Us - Granite Source Inc. 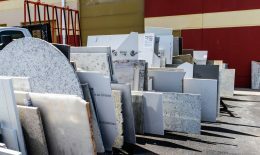 Granite Source Inc. is an American small business founded on the principles of integrity, quality, and respect. As such, these core values are fundamental in how we treat our employees, our customers, our vendors and others with whom we interact. Our word is our bond: we make good on our promises to deliver a quality product, on time, every time. Dan Bradley, owner of Granite Source Inc, served in the Navy from 1966 to 1969 on the P-3 Orion anti-submarine and maritime surveillance aviation unit. After his service, he worked in the construction supply industry, later earning his degree in Industrial Construction Management. Dan opened a home center that he operated for 6 years before becoming an independent rep, selling cabinets, fireplaces, and countertops for 27 years. 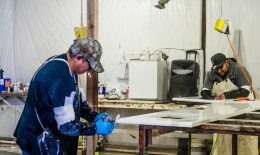 GSI was incorporated on May 18, 2012 to cut granite, marble and quartz for other companies that didn’t have the specialized equipment. 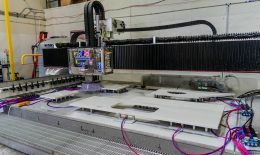 Within a year, there was enough demand for GSI to start fabricating and installing countertops. In December 2017, GSI moved to its current location at 5525 W 56th Ave, Unit 400, Arvada, CO 80002. 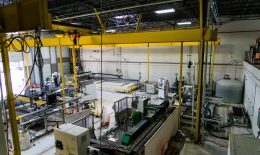 In so doing, GSI expanded its physical plant by nearly three times, upgraded its technical capacity with the addition of several pieces of high-tech equipment, and hired additional staff. 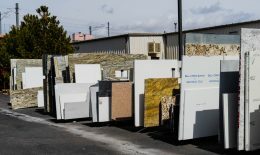 Importantly, GSI offered a line of kitchen cabinets to complement its wide offering of custom-made granite and quartz countertops and sinks. In 2018, GSI partnered with Carpet Innovations to offer flooring and in 2019 GSI looks to partner with Hunter Douglas to offer window coverings. At GSI, we set ourselves apart from the competition by offering a fast turnaround of production and installation, giving our products a one-year warranty, and truly caring about our customers.